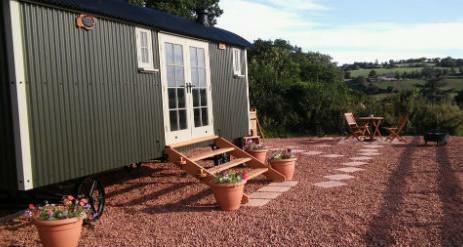 Two beautiful shepherd huts. 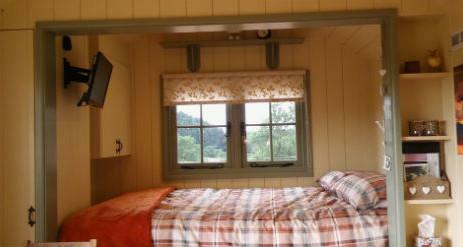 Each has a fixed kingsize bed, well equipped kitchen, shower room, wood burner, wood-fired hottub, bicycles, firepits and much more. We are off grid and run on solar and propane so are also quite eco friendly. We pride ourselves on being the perfect romantic escape.